Listen up! 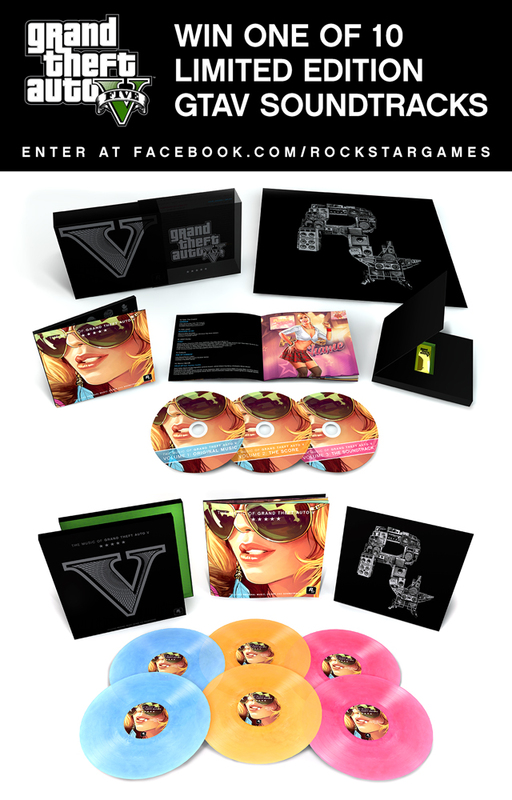 In honor of next week's release of The Music of Grand Theft Auto V: Limited Edition Soundtrack CD and Vinyl Box Sets, Rockstar is giving 10 lucky fans the chance to win a copy at the Rockstar Games page on Facebook. Entries end December 8th. Each set includes all three soundtrack volumes (The Original Music, The Score, and The Soundtrack). The Vinyl collection features six vinyl records, a full color booklet and an exclusive lithograph poster in a classic box-set. 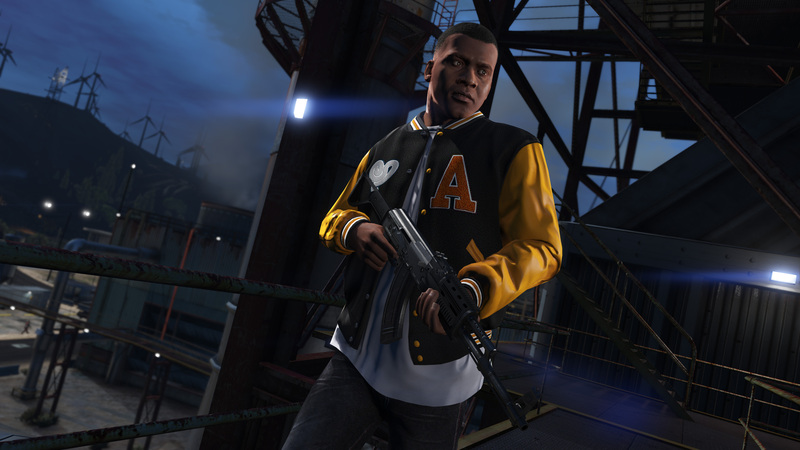 The CD collection includes three discs along with a branded Grand Theft Auto V gold brick-shaped USB Drive, artwork and poster all sealed in a special die-cut package. Winners will get their choice of either the CD or Vinyl collection. Limited to a production run of less than 5,000 units worldwide, these limited editions will be available to purchase beginning on December 9th at top online and physical record stores. You can pre-order the CD or Vinyl collection now at Mass Appeal.